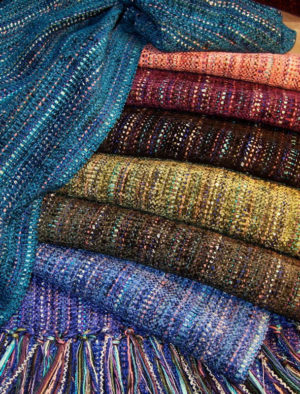 Abby Bard creates handwoven clothing out of rayon, chenille, cotton, silk and wool yarns, in uniquely blended colors. Jessica Jones of Gould Hat Designs is a Sonoma County millinery artist, who makes womens and mens hats from felt or straw using traditional millinery techniques. 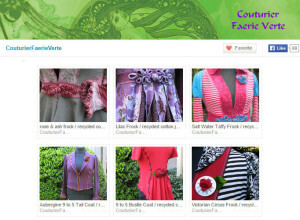 Louisa Comora designs bags, purses, and wallets. Her brand name is BOHLUX, which stands for Bohemian Luxury. 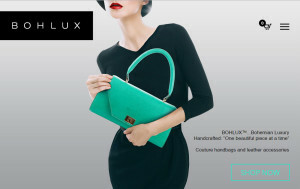 BOHLUX provides handcrafted, one beautiful piece at a time, couture handbags and leather accessories. 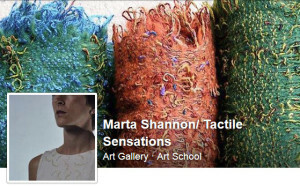 Marta Shannon is known for her fiber arts, handwoven scarves, shawls, cowls and ponchos. 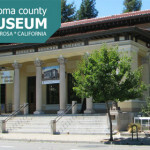 She has a weaving studio in Petaluma, California. 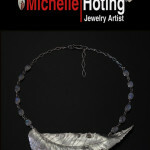 Mel Gross creates Sonoma County-inspired art, nature photography, and apparel. Michel Stong is an artist and product designer who has illustrated book covers and interior book illustrations, wine labels, fine food labels, and business identities. She is also the creator of Paper & Fog, the little linen dress. 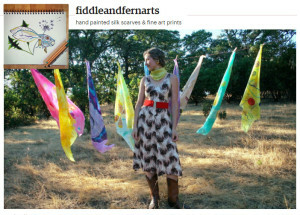 Natalie Eberly is a Sonoma artist of hand painted silk scarves and fine art prints. 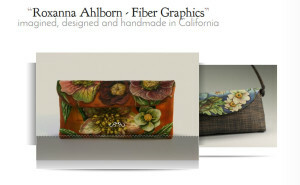 Roxanna Ahlborn creates finely hand-painted purses and accessories, known as wearable art and fiber graphics, and also limited edition art prints. 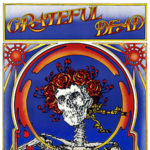 “All of my handpainted purses are one of a kind pieces of art.” Roxy attended the California College of Arts and is a native of Sonoma County. 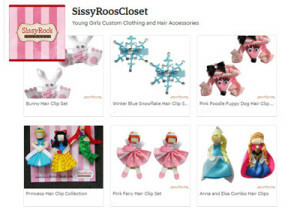 Sissy Roo’s Closet is a sweet and sassy boutique that offers Shanea Thompson’s crafts: girls custom clothing, fun hair accessories, and rhinestone bling t-shirts. Favorite materials include felt, cotton, fleece, and ribbons. As a costume designer, Sonja Roberts appreciates the fabric, line and details of antique fashion. She also repurposes vintage clothes into “dreamy art jackets.” Sonja has a Masters in Costume Design and a background in theater.